The Recreation Ground is known to all Miltonians. It is also know at ‘The Rec’, or Whitefield. It is where the towns war memorial is situated. It is home to the skateboard park and the children’s playground. How did this green space become available to the town? The field on which ‘The Rec’ is now situated once was part of the land belonging to Haywards farm. 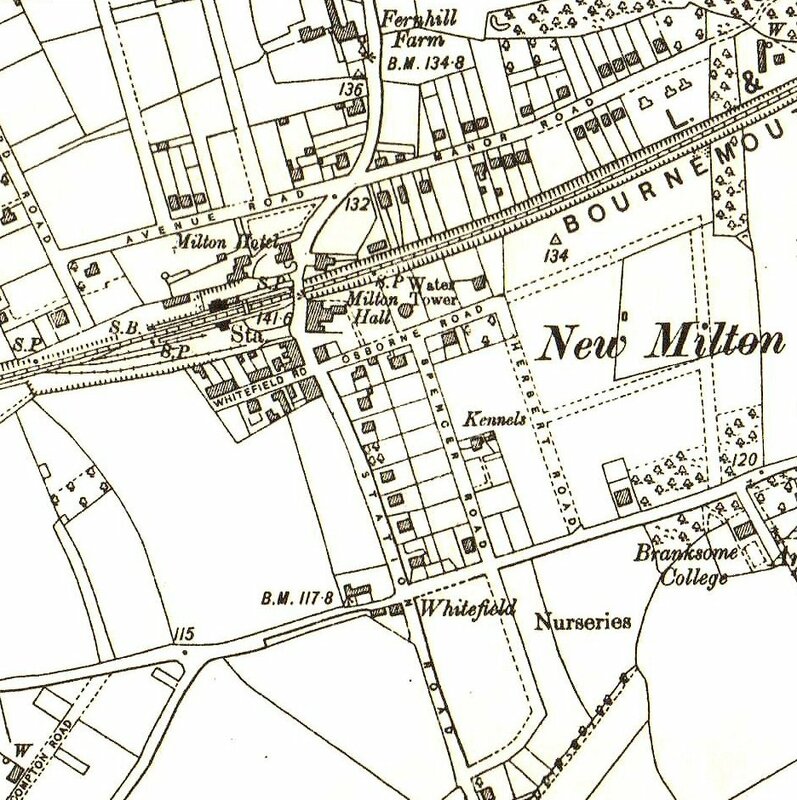 The farm house was situated approximately where Charlotte Court now stands in Old Milton Road near to the junction of Station Road. Opposite the farm was ‘Leggs Cottage’ one of the buildings associated with the farm. This image show George Legg and Fred Whitcher outside the cottage, sadly date unknown. Haywards Farm buildings and yard were used for many years by Robert Adlard Builders Merchants, until replaced with purpose built commercial premises and company office. 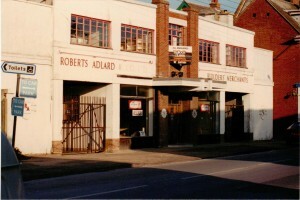 This image shows the building just prior to its closure in1988. The name ‘Whitefield’ came about because of the large numbers of daisies growing on the field. It was preserved as open land for the use of the people of New Milton and area largely through the efforts of the Reverend John Kelsall. 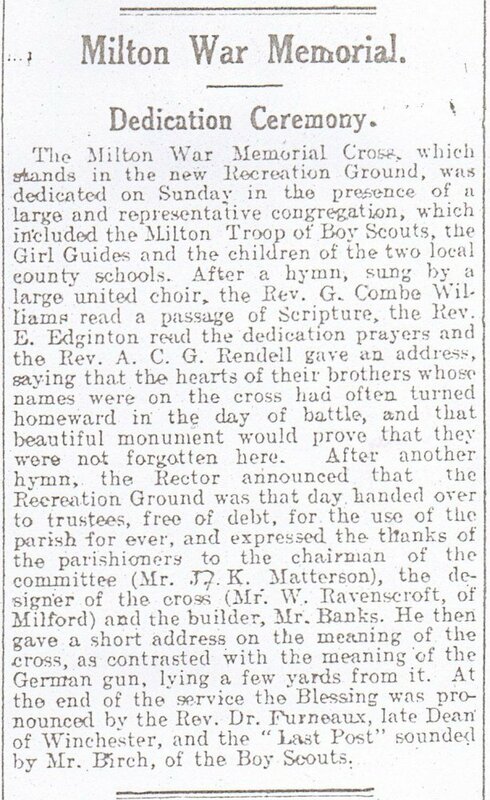 He organised a campaign to preserve the area as a war memorial recreation ground. 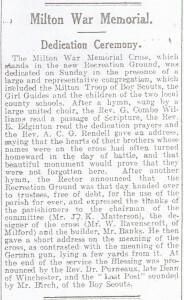 The campaign raised £850 to purchase the field and to erect the war memorial on the southern end. In September 1920 the war memorial was dedicated by the Dean of Winchester Cathedral in front of a large crowd. This article in the Lymington and South Hants Chronicle gives some detail about the event including the promise that the Recreation Ground “was free of debt, for the use of the Parish forever”. One of the persons involved in raising the money to purchase Whitefield was a Mr Matterson, who was a Chemist and lived locally in Fernhill Road. 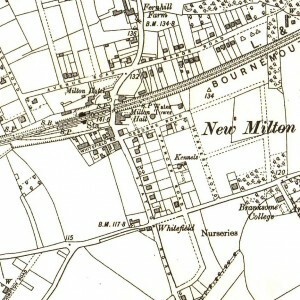 He purchased the area of land north of the Recreation Ground and bordered by Whitefield Road. He made a gift of this to the town so that bowling greens and tennis courts could be built for public use. 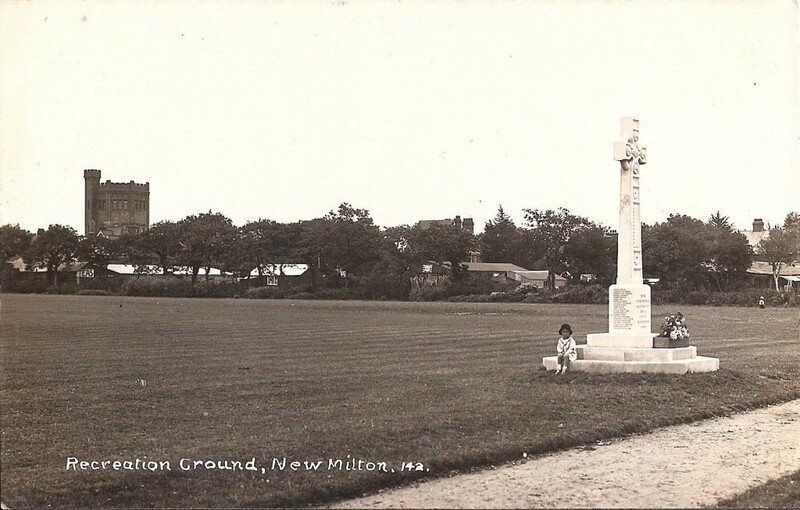 The Recreation Ground was used as a pleasant green space and for football and cricket by Miltonians for many years. In the mid 1980s a developer offered to buy the land and build a supermarket and shopping complex on it. They intended to build a new recreation ground on the outskirts of the town. There was a public outcry and a campaign started to save ‘The Rec’. This became news in a national paper when Daily Mail reporter Ian Wooldridge wrote an article in which he made an impassioned plea to keep the Recreation Ground as a space for public use. He wrote of his fond memories of playing cricket on the ground. 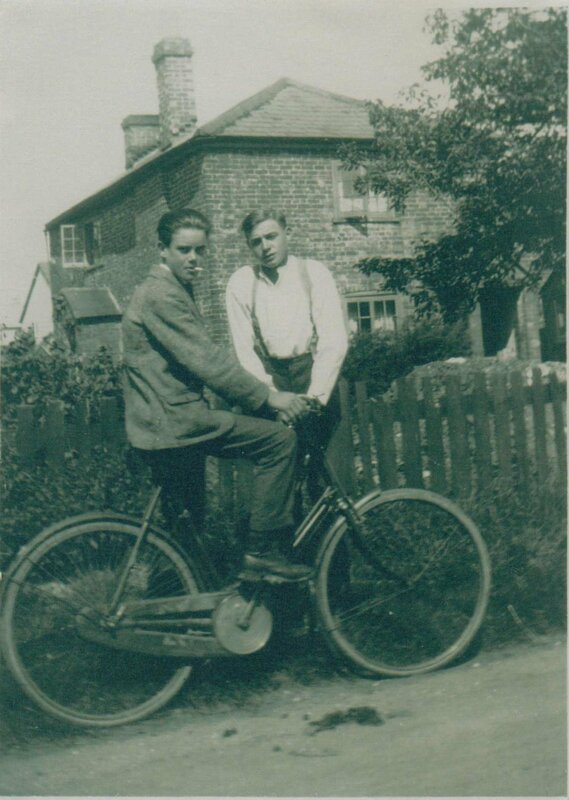 Ian had lived in New Milton for many years and started his career in journalism on the New Milton Advertiser and Times. Today ’The Rec’ is very much in use as a public area. There is a new and well used skateboard area. There are swings and slides for young children. The tennis courts have been revitalised as a multipurpose exercise area and there is a public entertainment arena, opened in 2014, where concerts can be held. Many live groups have already played here. ‘The Rec’ has hosted numerous public events including the recent ‘May Fayre’. The Reverend Kelsall and Mr Matterson would surely approve.